Here, we present you the exciting stuff of recent SEO results from different niches that got some outstanding outcomes in the just short span of time. 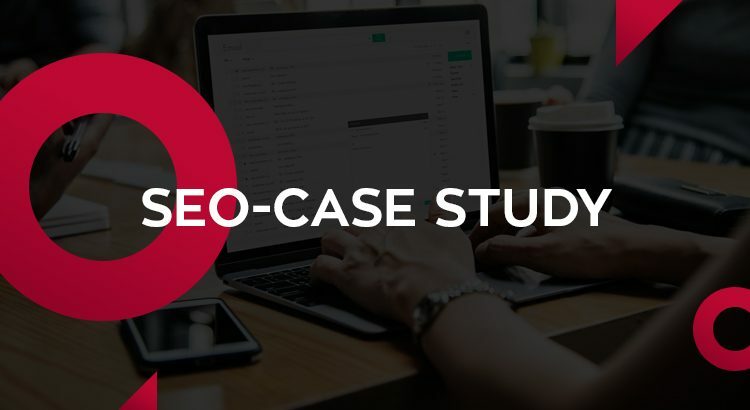 These 7 successful & amazing SEO case studies are from different clients. Let’s start and learn the strategies. We got the particular limousine website in Jan 2017. The site was fresh with no keywords existing anywhere on the Google. The site was getting no traffic even though it has a good website design and quality content. The owner of the website had invested ample amount of time on this site and built many pages with relevant information. Our foremost step is to find the keywords in relevance to the particular industry. As the keywords existed nowhere, we used our tools Keyword Planner from Google and Keyword Explorer from Moz. We found many high competitive keywords related to the limousine industry. We worked hard to find the high volume and high money keywords for the website. We analyzed the competitor’s website from the same industry and found more high ranking keywords. It is important to analyze the competitor’s website and why they are ranking high. We then worked on finding the high-ranking competitor’s keywords. Based on those keywords, our content team wrote the unique content. As the limousine industry is in demand and full of vigorous competition, we found money keywords having the volume between 1000-10000 ms. We also had a word with the client regarding the keywords, which keywords they wanted to rank high and what was their top-most priority. And the results are marvelous. The traffic exploded. SEO is important for success these days as it helps in getting more visitors and to convert them into customers. 3 months and we showed our potential and upgraded the rank of the site. We focused on what users wanted and provided them with the useful and informative content. We will continue to work the same. We got the particular project in Jan 2017. Plumbing is a vast industry that requires consistent internet marketing strategy. Having a properly optimized website can solve all the problems and is good for SEO. The site was new at that time with a good design but good SEO practices were necessary to take it to a higher level. SEO isn’t rocket science but needs some sound steps to follow. We first researched for the right keywords which were in alliance with the plumbing industry. Our team did proper keyword research to find out the relevant words the audience is using. But before that, we examined that what sort of products the site is selling or what kind of services are provided by them? Judging and analyzing the page helped us to know that the site had huge potential enough to be on top rankings. Content Gap Analysis is the next step in which we look for the competitor’s keywords that the particular website should also target. The appropriate keywords become the base for our content creation. Crafting content is like the soul of SEO. High-quality content helps in taking the website to the top rankings. We updated the website with proper blogs, pages content, e-books, pictures, Infographics, and more. We also focus on optimizing the code. We focused on SEO-friendly URL structure. We consolidated the www and the non-www domain versions. We focused on avoiding dynamic URLs and use canonical tags. The above steps set a healthy base for the website and there was a boost in the traffic. The site received more organic traffic. We stuck to our hard work and it paid off. Hospitals and health-care sectors are vast and full of cut-throat competition. We got the particular website in July 2018. We started the SEO project in the same month. The website was user-friendly and with proper internal pages. We start the marketing with our strategies. We started finding the keywords related to hospitals and healthcare sectors. We used tools like Keyword Planner from Google, Keyword Explorer from Moz, and other important audit tools. Our main goal was to research the high volume and high money keywords for the website. Keywords are responsible for bringing maximum visitors towards your website. It helped us to increase conversions and find new markets. Content Gap Analysis includes looking for the competitor’s keywords that the particular website should also target. The appropriate keywords become the base for our content creation. The strategy helped the particular brands to recognize their strong and weak points. It is about reviewing the content’s performance and optimizing with the dynamic keywords. Our team found 300 keywords having the volume between 1000-10,000 ms. This helps us to leverage strategies for improvement. We also focused on the mobile-friendly website as it had benefit SEO to a great extent. Three months and the results are marvelous. The traffic exploded and the particular organization saw a boost in the lead acquisition. Forklifts project was assigned to us in July 2017. Generating leads for a forklift website is tough and demands a different approach. The starting point of good SEO is a quality website. The particular website was of high-quality and just some logical strategies were required to rank it well. Finding the appropriate keywords in relevance to the industry is important. For proper site optimization, we found important keywords and incorporated them into the copy, titles, headers, and other elements. Finding long-tail keywords is also a significant part as, through this, more people connect with you. We do included the important keywords in titles and headers and optimized the images. We worked on making sure that the site has a fast loading time. We followed this strategic method for checking and optimizing the content of a website. We analyzed that whether the current content is enough to focus on the target audience or it should be optimized with proper keywords. We optimized the content for the specific website with proper keywords and also the high ranking competitor keywords. In this, we utilized Google Analytics tool that depicted the clear condition of no of clicks and CTR. Our blueprint and analysis worked a lot and brought the enormous traffic. The client is really happy with the graph going up and the boost in conversion rate. The site was a newly developed and fresh site with no previous SEO. The website design was accurate with appropriate information in the landing pages. We got the project in June,2018. The owner of the website had invested a great time and money in developing the site. We were given the full responsibility to boost the traffic. Our team is having a vast experience in SEO and in-depth knowledge about the best strategies that do wonders. Let us have a look at the smart steps we used for the following. Our foremost step was to find the keywords in relevance to the particular industry. As the keywords existed nowhere, we used our tools Keyword Planner from Google and Keyword Explorer from Moz & various other popular analysis tools. We worked hard to find the high volume and high money keywords for the website. We analyzed the competitor’s website from the same industry and found the high ranking keywords.The site had huge potential enough to be on top rankings. For the particular cleaning industry, we found 200 keywords having the volume between 200-900 ms. Working with the client is also the basis of strong SEO. We sit with them to understand and pick out high competition and high priority keywords and for this, we filtered some keywords on the basis of industry trend knowledge. We work with the clients so as to understand their business. Fixing crawl and blocked resources errors in webmaster console. The site had informative content already and our content developing team updated it with decent and quality content. We focused on the important keywords for a better performance optimization. And the results are marvelous. The traffic exploded. 3 months and we showed our potential and upgraded the rank of the site. We will continue to work the same. The particular website was running since 2012 and the SEO was handled by someone else. We got the project in Jan, 2017 and at that time, the site was penalized by Google because of the bad links and it didn’t rank well. We started by first analyzing the site and understood the Google penalties. We scrutinized the information in an extensive manner and made strategies to improve the bad links. Thereafter, we targeted those keywords that were somewhere on Google but were not on the top rankings. We identified those to push them and to boost the traffic. For this particular site, we recognized 300 easy win keywords and also analyzed that the site had huge potential but somehow was not ranking on page 1. Next step was to find the appropriate keywords in accordance to the particular industry. We used our tools Keyword Planner from Google and Keyword Explorer from Moz. We worked hard to find more high volume and high money keywords for the website. Our last smart strategy was in which we searched for the competitor’s keywords that the particular website need to target. The appropriate keywords became the pillar of our content creation. For the law firm, we found 500 keywords having the volume between 1000-10,000 ms. Having an open communication with the client is our top priority. We listen to them and understand their priorities and pick out high competition and high priority keywords. We found some keywords on the basis of this industry trend knowledge. Let’s have a look at our 3 months of hard work. Our results clearly speak for ourselves and how we optimized the performance of the particular website. Since this particular site had so many opportunities for easy wins, we were just directed on getting those easy wins on page 1. It can be clearly seen that the traffic exploded. This was just a few months of our work and we upgraded the site to a higher level. We will continue to work the same. The particular website was an online store selling products and they started SEO with us in Jan, 2017. The site had minimal traffic this year and had no over optimization. We checked for the Google penalties but there was no such case. We found 2 potential targets, mostly bottom of page 1 through page 3 all with CPC between .60 and $2.50. These terms / URLs were a mix of homepage, product pages, and their blog content. Then we selected the customers with high priority. Particularly for e-commerce sites, content gap analysis is something different. We follow a competitive gap analysis for the same. There are innumerable product names in such sites that you may not sell. One more thing is that such sites do not have much content, just the products with minimal content and information which ultimately affects the ranking. We worked closely with the client and they found the killer keywords. Then we wrote articles and content with those keywords. The client loved our content. By following the above-mentioned strategies, we saw Google starting to unlock the floodgates. Our team’s massive potential can make you come up. E-commerce needs content, and by writing long-form blog posts, you can start ranking for your valuable keywords. We work on quality content optimization and hence, these pages are easier to rank, and you can do an internal linking to your product pages as well. After you have the content, it makes getting good links 1000X easier!